This is by no means an extensive list and may not cover everything you need for your investigation. You might also need additional utilities such a file viewers, hash generators, and text editors – checkout 101 Free Admin Tools for some of these. My articles on Top 10 Free Troubleshooting Tools for SysAdmins, Top 20 Free Network Monitoring and Analysis Tools for Sys Admins and Top 20 Free File Management Tools for Sys Admins might also come in handy since they contain a bunch of tools that can be used for Digital Forensic Investigations (e.g. 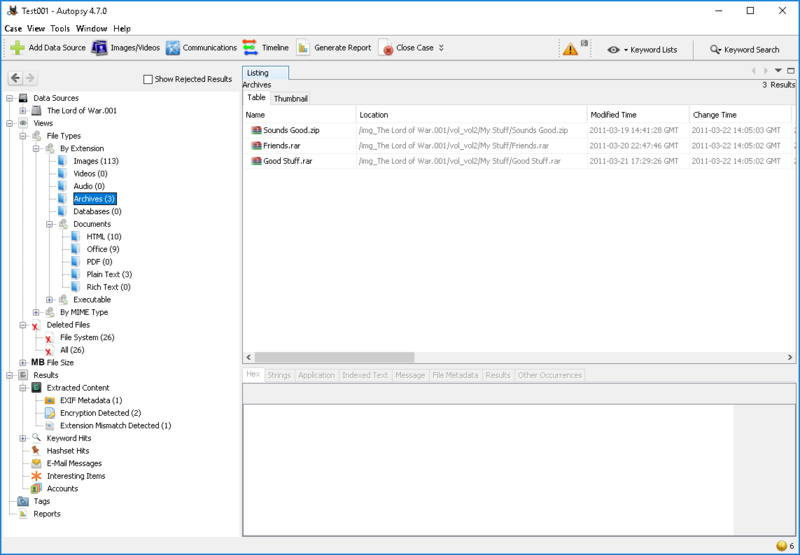 BackTrack and the SysInternals Suite or the NirSoft Suite of tools). CrowdResponse is a lightweight console application that can be used as part of an incident response scenario to gather contextual information such as a process list, scheduled tasks, or Shim Cache. Using embedded YARA signatures you can also scan your host for malware and report if there are any indicators of compromise. To run CrowdsResponse, extract the ZIP file and launch a Command Prompt with Administrative Privileges. Navigate to the folder where the CrowdResponse*.exe process resides and enter your command parameters. At minimum, you must include the output path and the ‘tool’ you wish to use to collect data. For a full list of ‘tools’, enter CrowdResponse64.exe in the command prompt and it will bring up a list of supported tool names and example parameters. Once you’ve exported the data you need, you can use CRconvert.exe to convert the data from XML to another file format like CSV or HTML. If you are using the standalone Windows executable version of Volatility, simply place volatility-2.x.standalone.exe into a folder and open a command prompt window. 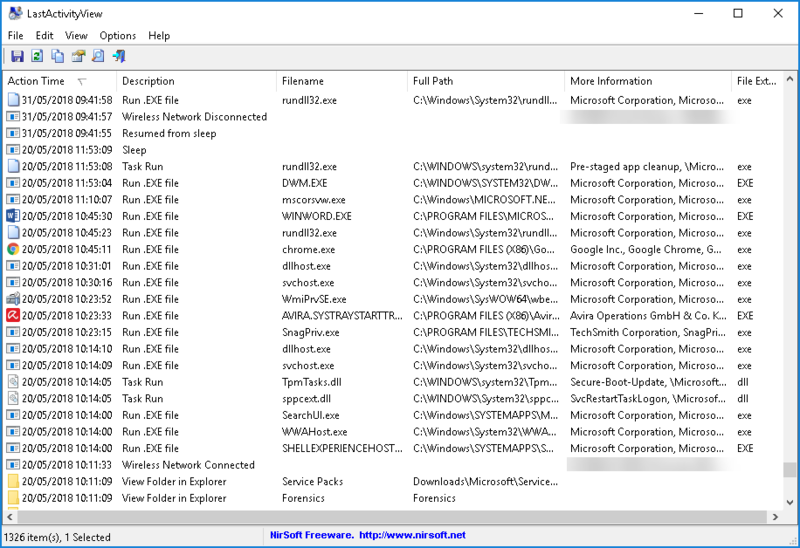 From the command prompt, navigate to the location of the executable file and type “volatility-2.x.standalone.exe –f <FILENAME> –profile=<PROFILENAME> <PLUGINNAME>” without quotes – FILENAME would be the name of the memory dump file you wish to analyse, PROFILENAME would be the machine the memory dump was taken on and PLUGINNAME would be the name of the plugin you wish to use to extract information. Tip: A modified version of dd is available from http://sourceforge.net/projects/dc3dd/ – dc3dd includes additional features that were added specifically for digital forensic acquisition tasks. ExifTool is a command-line application used to read, write or edit file metadata information. It is fast, powerful and supports a large range of file formats (although image file types are its speciality). 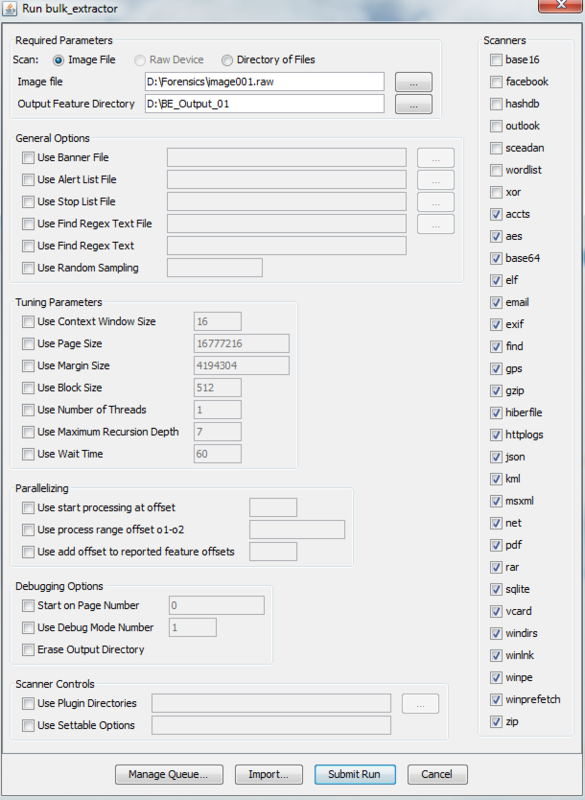 ExifTool can be used for analysing the static properties of suspicious files in a host-based forensic investigation, for example. 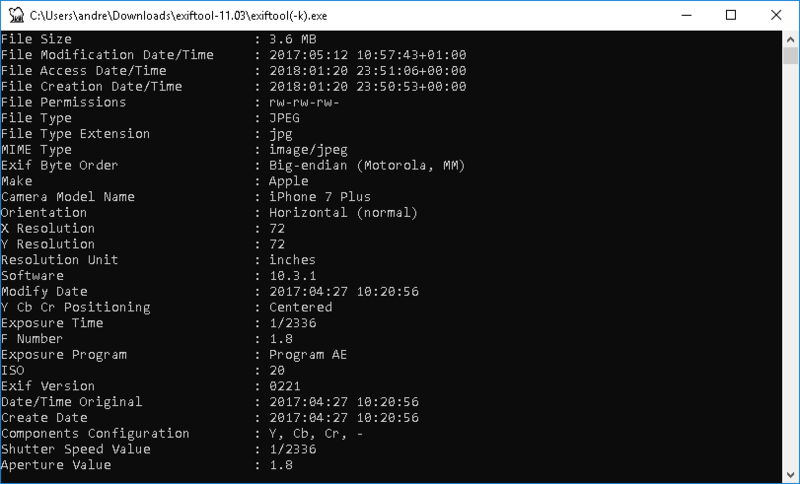 To use ExifTool, simply drag and drop the file you want to extract metadata from onto the exiftool(-k).exe application and it will open a command prompt window with the information displayed. Alternatively, rename exiftool(-k).exe to exiftool.exe and run from the command prompt. Once you’ve installed Xplico, access the web interface by navigating to http://<IPADDRESS>:9876 and logging in with a normal user account. The first thing you need to do is create a case and add a new session. When you create a new session you can either load a PCAP file (acquired from Wireshark for example) or start a live capture. Once the session has finished decoding, use the navigation menu on the left hand side to view the results. 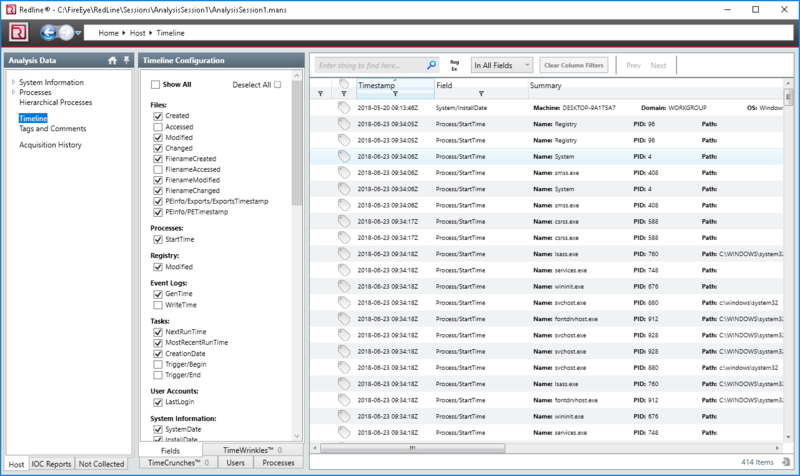 I briefly touched on LastActivityView when pointing out the NirSoft suite of tools in my Top 10 Free System Troubleshooting Tools for SysAdmins article. LastActivityView allows you to view what actions were taken by a user and what events occurred on the machine. Any activities such as running an executable file, opening a file/folder from Explorer, an application or system crash or a user performing a software installation will be logged. The information can be exported to a CSV / XML / HTML file. This tool is useful when you need to prove that a user (or account) performed an action he or she said they didn’t. 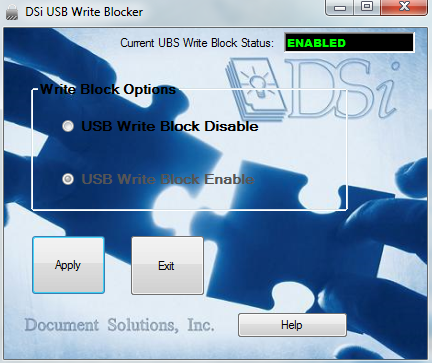 DSi USB Write Blocker is a software based write blocker that prevents write access to USB devices. This is important in an investigation to prevent modifying the metadata or timestamps and invalidating the evidence. 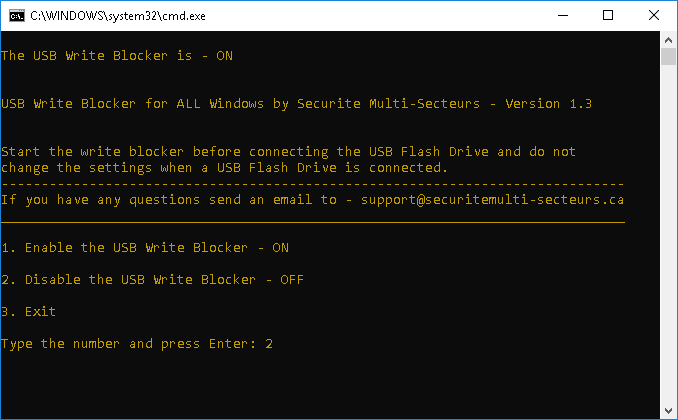 When you run DSi USB Write Blocker, it brings up a window that allows you to enable or disable the USB Write Blocker. Once you make changes and exit the application, you can keep an eye on the status from the padlock icon in the taskbar. When performing an analysis of a USB drive, enable the USB Write Blocker first and then plug the USB drive in. 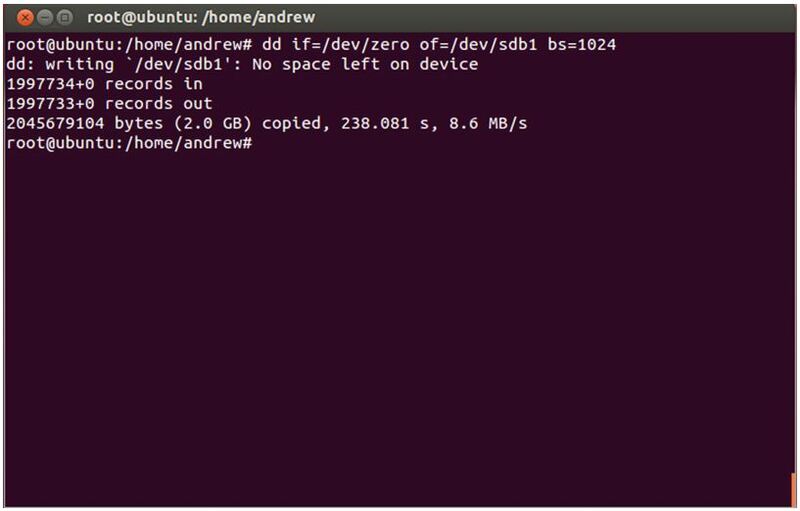 If you are looking for a command line alternative, check out ‘USB Write Blocker for ALL Windows’. 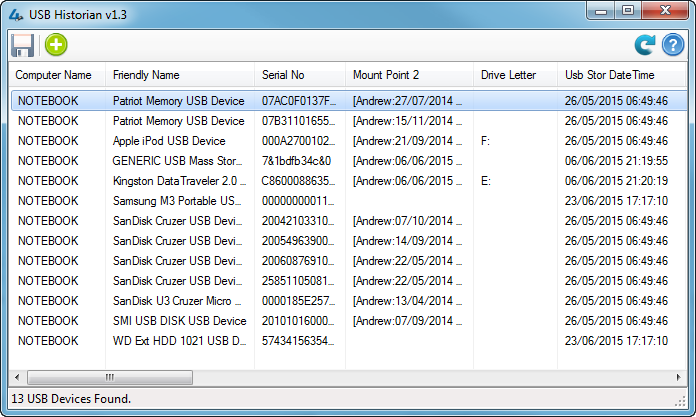 This tool works by updating a registry entry to prevent USB drives from being written to. To run the tool, you simply execute the batch file and select Option 1 to put the USB ports into read-only mode. 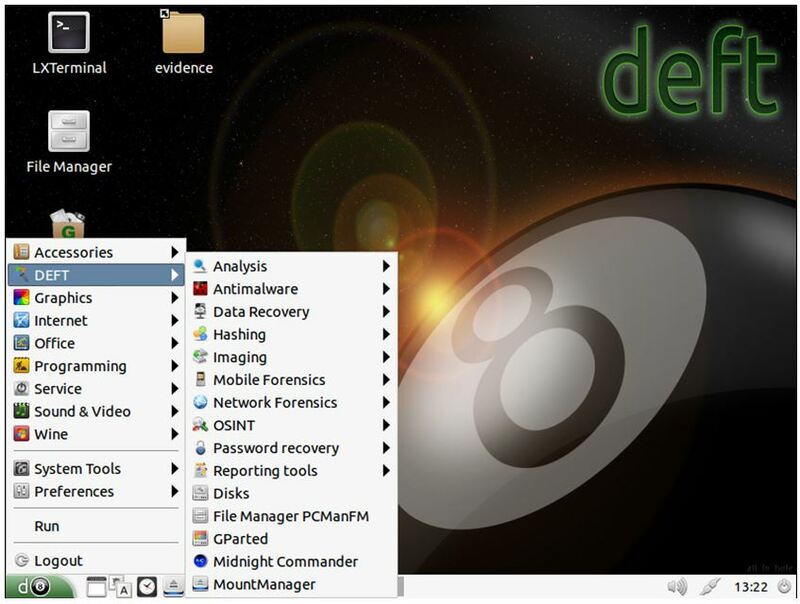 Paladin Forensic Suite is a Live CD based on Ubuntu that is packed with wealth of open source forensic tools. The 80+ tools found on this Live CD are organized into over 25 categories including Imaging Tools, Malware Analysis, Social Media Analysis, Hashing Tools, etc. 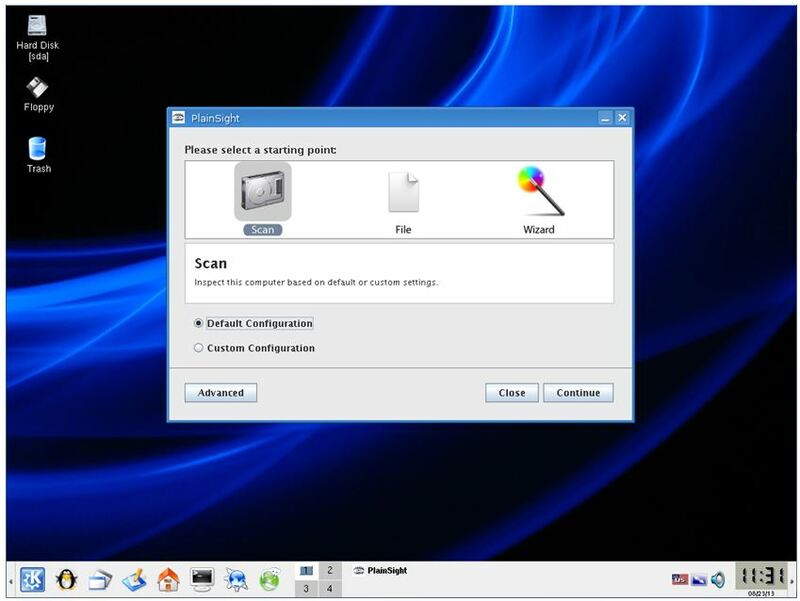 After you boot Paladin Forensic Suite, navigate to the App Menu or click on one of the icons in the taskbar to get started. 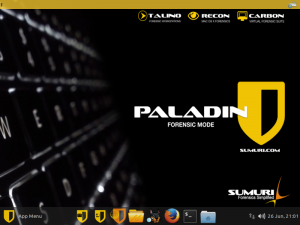 Note: A handy Quick Start Guide for Paladin Forensic Suite is available to view or download from the Paladin website as well as the taskbar within Paladin itself. 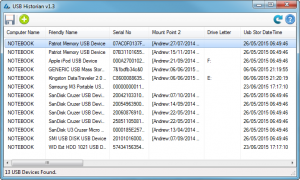 USB Historian parses USB information, primarily from the Windows registry, to give you a list of all USB drives that were plugged into the machine. It displays information such as the name of the USB drive, the serial number, when it was mounted and by which user account. This information can be very useful when you’re dealing with an investigation whereby you need to understand if data was stolen, moved or accessed. When you launch USB Historian, click the ‘+’ icon on the top menu to launch the data parse wizard. 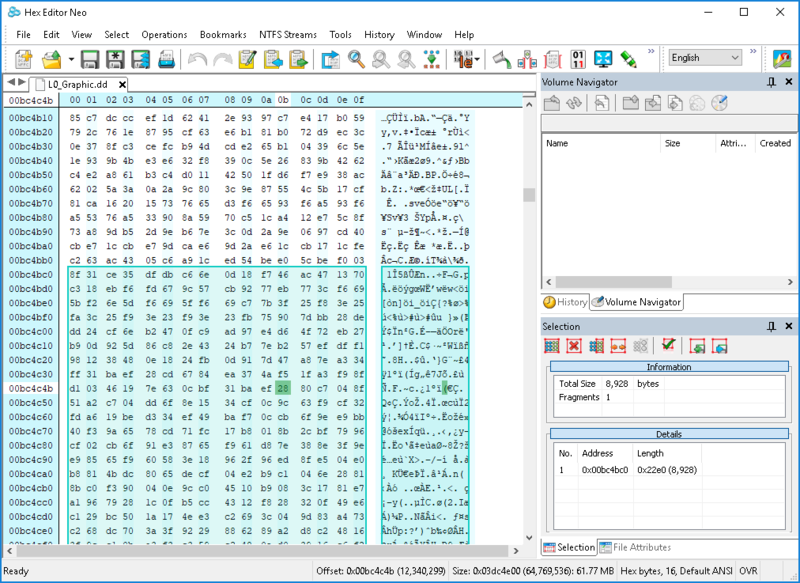 Select which method you want to parse data from (Drive Letter, Windows and Users Folder, or Individual Hives/Files) and then select the respective data to parse. Once complete you will see information similar to that shown in the above image. Good stuff, I was wondering which one of these tools can correct a user profile that cannot be loaded. 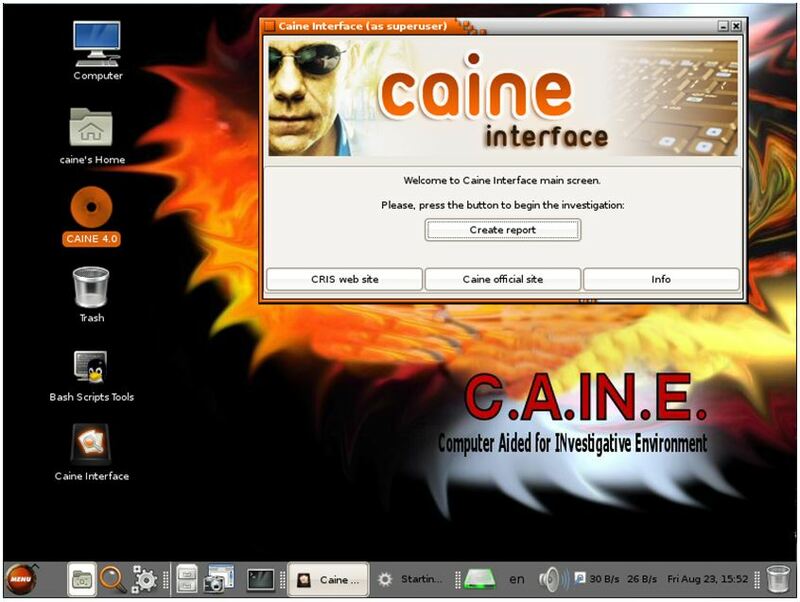 All thee tools seems work on local machines, is there any such tools work on remote machine, Before containing the vulnerable systems and users, to capture and check the volatile data on suspicion..
can you post a list of free forensics tools developed specifically for mobile devices (smart-phones). Thanks for sharing useful information.Suppose the user has cleared his recent history and internet cookies,MRU caches from Registry, will this tool(LastActivityView) reveal the same? David Williams – Thank you. I am not aware of any of these tools being used specifically to fix a user profile that cannot be loaded. In this situation, you’re probably better off creating a new user profile and copying the data (e.g. NTUSER.DAT, NTUSER.DAT.LOG, NTUSER.INI) from the old profile to the new profile. Alternatively you could login to the machine using safe mode and try fixing the profile using regedit.exe. Bilal Bokhari – Many thanks for your feedback. Much appreciated! Glad you found the article useful. 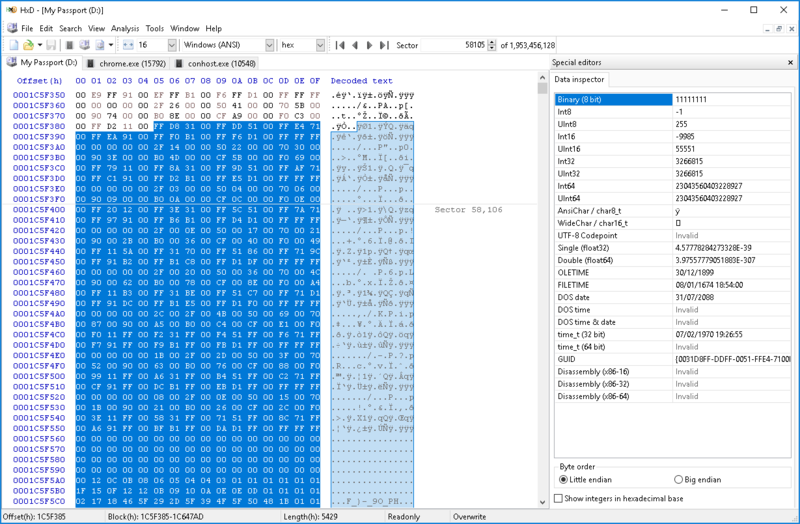 Vijay – Other than using FTK Imager (for example) to create a logical image of a remote folder, I’m afraid I cannot think of any open source / freeware forensic tools for remote data capture that I’ve come across. You are more likely to find such a feature in a a commercial product. 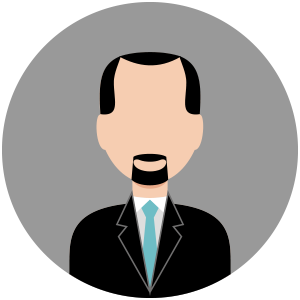 Masoud Al Tawqi – Thanks for the suggestion. We’ll definitely consider such an article but unfortunately there aren’t many open source / freeware forensic tools specifically for mobile devices. 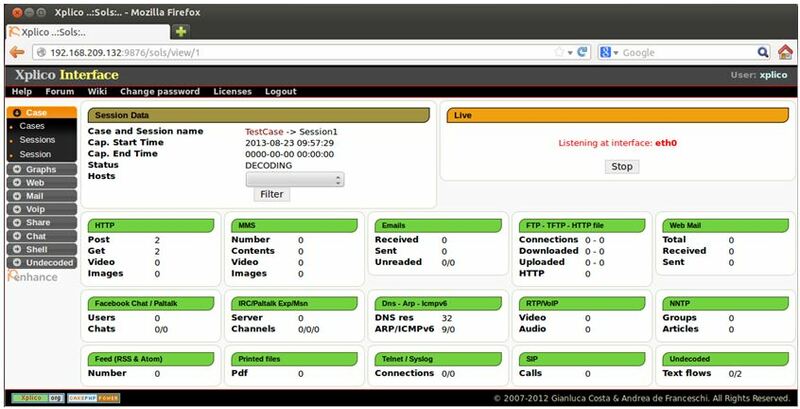 One that comes to mind is iPhone Analyzer (available from: http://sourceforge.net/projects/iphoneanalyzer/) or you could look at the list available in the DEFT Linux Live CD. One thing to note is that most software-based commercial mobile forensics tools have evaluation editions available for you to try and these tend to be more feature-rich than the open source / freeware alternatives. Kalimuthu – Thanks. Glad you found it useful! To answer your question, it really depends how the user accessed these applications. It won’t show that the internet history was cleared or that the MRU list was deleted but it might show that the user logged on, and that regedit.exe and iexplore.exe were executed for example. I have also found a Tool for Digital Forensic Investigation purpose and make easy to open E01 file name as SysTools E01 Viewer Tool. Developer mainly focused on Forensic Investigation that’s why tool provide option to view only E01 email file data as PST / OST and EDB. james smith – Many thanks for sharing! Thanks for compiling this list. I too would be interested in a list of free forensic apps for mobile devices. DFI News might be a good place start. Exelent review . Are there any forensic sofware capable of analyzing concealed data in BIOS chips ? Jerri Corbett – Thanks for your comment. As I mentioned in a previous reply to Masoud Al Tawqi, unfortunately there aren’t many open source / freeware forensic tools specifically for mobile devices. One that comes to mind is iPhone Analyzer (available from: http://sourceforge.net/projects/iphoneanalyzer/) or you could look at the list available in the DEFT Linux Live CD. One thing to note is that most software-based commercial mobile forensics tools have evaluation editions available for you to try and these tend to be more feature-rich than the open source / freeware alternatives. Dee Brown – Thanks for your feedback! I am not aware of any forensic software that specifically allows you to find concealed data in BIOS chips. 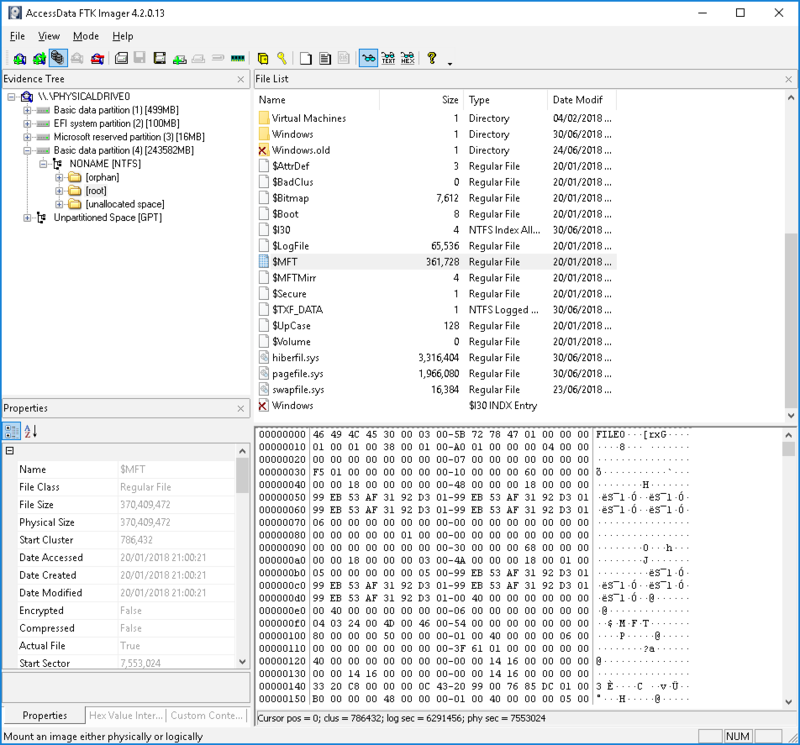 If you wanted to analyze a BIOS chip for hidden data you could use a tool to dump the contents of the BIOS to disk/USB and then use a Hex Editor to view the data (some BIOS flash tools allow you to take a backup of the BIOS to RAM/disk before updating). It would be pretty difficult to determine what data is actually ‘hidden’ but a good method of analysis would be to do a side-by-side comparison of a chip you think has hidden data with one of the same type that you know doesn’t have hidden data. Andrew, yes I found this very informative for a lay person…My question is very simple and I hope u response to my inquiry! Are there similar type programs which you can use for home private networks! Which are much smaller. I’m assuming that these security software are geared for large sized business networks? Thank-you very much for responding and your recommendations. I was wondering if u knew of any software to enhance a image from a security cam? your help will be much appreciated. Could you please put a link to the best sites for DL. Thanks it will be grt help.I want to know is any tool available which show location,name(e.g) of hacker of a remote machine. If I load an image file (in my case a PNG photocopy of a document which contains some personal details) into Gimp, and I ‘fill’ with black (i.e. as if to redact) the areas of the image that contain sensitive information, and I then overwrite the original file, is there any way that the original untouched image can be recovered or gleamed? Such as low level bit analysis or…? In this case I’m only concerned with once I’ve redacted specific parts of the photocopy image and overwritten the original untouched version of the file that once I send via email this edited PNG to somebody, they will not be able to use any tools to “guesstimate” what was blanked out. If so what tools and techniques are behind that, and how can I mitigate this? 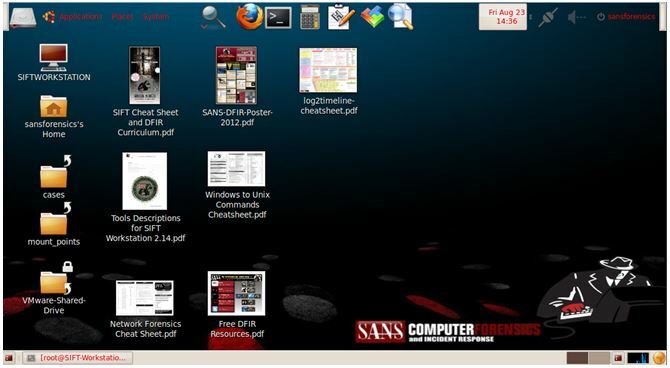 Thanks for sharing these best tools for Forensics Investigation. Please include some forensics tools for Smartphones. It will be very helpful for other. Thanks for sharing such useful information these amazing tools.